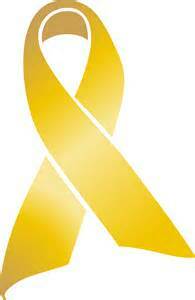 David Rees AM for Aberavon will be wearing a gold ribbon this September to support Childhood Cancer Awareness Month. David Rees said: “I am delighted to support Childhood Cancer Awareness Month and will be wearing my gold ribbon to show that I’m standing by the thousands of families who are coping with childhood cancer. Lorraine Clifton, CLIC Chief Executive, said: “We’re so pleased David Rees AM will be wearing a gold ribbon and supporting Childhood Cancer Awareness Month. For more information about CLIC Sargent or Childhood Cancer Awareness Month contact Kat Baldwyn on 020 8752 2833 or email [email protected]. Outside office hours please call 08448 481189.